John was born in Zionsville, Indiana. He attended Calvin College in Grand Rapids, Michigan, where he met his wife Michelle. After moving to Chicago, John continued his studies at the School of the Art Institute of Chicago for a Masters in Art History. He was in the auction industry as a fine art specialist and Michelle worked for a textile design company. 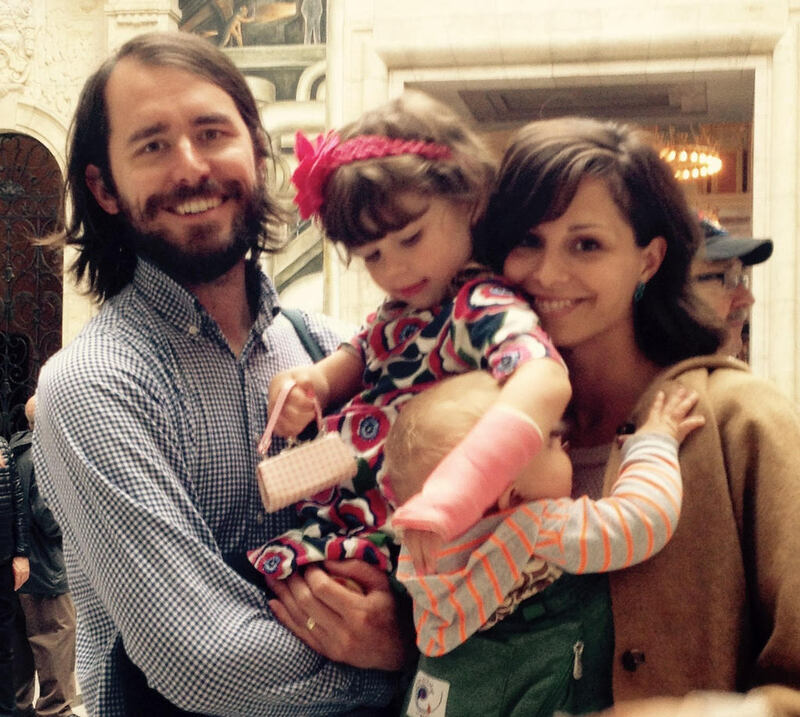 In 2011 John and Michelle were received into the church at the Baptism of their daughter, Inez, on the Feast of the Protection of the Mother of God. They are overjoyed to be at St. Tikhon’s with their new son, Anthony George, who was baptized at the monastery church in December of 2014. Megan Haak was born and raised in a small town in Indiana. She attended Wheaton College, a non-denominational Protestant liberal arts college in Illinois, where she majored in Christian Formation and Ministry. There she encountered Orthodoxy through a friend, and was increasingly drawn to the Church during her last two years of college. 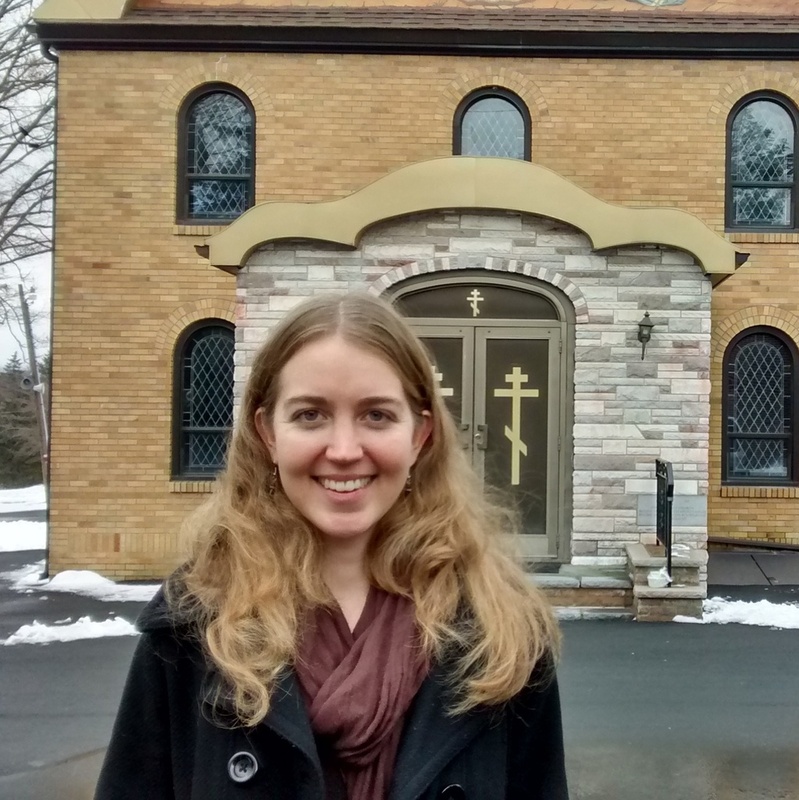 After graduating from Wheaton in 2008, Megan moved to Chicago and found Christ the Savior Orthodox Church, which has been her home parish ever since. She was chrismated there in September 2009, and has enjoyed serving in the parish as well as working alongside fellow parishioners to grow Christ the Savior’s outreach efforts. While working in the secular world, mostly in education and alternative healthcare, Megan’s desire has always been to devote more of her time to ministry. Eventually she decided to pursue that call by applying to St. Tikhon’s Seminary, and began the M.Div. program in the fall of 2014. Through her studies, she hopes to become more fully grounded in Orthodoxy, better equipped to facilitate the growth of the Church, and more strongly fortified to reach those outside the Church with Christ’s love.